Kigali: The two ex-FDLR rebel officers whom the state alleges where collaborating with opposition politicians Victoire Ingabire and Paul Rusesabagina will stay in jail up to when the case starts, court ruled Friday. Judge Mbishibishi of the Gasabo Intermediate Court concurred with prosecution that Lt. Col Noël Habiyaremye and Lt. Col Tharcisse Mbiturende are dangerous criminals that cannot be allowed to move freely. The two will be remanded for 30 days as investigations are completed – ready for the start of the trial of the accused. Court finds it necessary to keep the accused in detention “lest they return to the forests of the (DR) Congo or impede the course of justice,” said the Judge. Judge Mbishibishi however said they have 15 days to appeal against the verdict. The state alleges that the two have been working with Ms. Victoire Ingabire – chair of the FDU-Inkingi and Mr. Paul Rusesabagina, the man behind the Hollywood movie “Hotel Rwanda” to oust the Rwandan government. The ex-FDLR rebels were finalizing details of launching rebel groups for the two politicians, according to state prosecutor, Mr. Richard Muhumuza. Ms. Ingabire herself is out on bail on charges of ethnic divisionism, negating the Tutsi Genocide and links to a terrorist group. Prosecution has linked the two officers to her as “accomplices”. It was not clear if the defense of the officers will appeal the verdict. However, the fate of Lt. Jean Marie Karuta, the third alleged accomplice is not known so far. The accused were transferred immediately to the maximum security prison – known here as ‘1930’. by Linda Whetstone – International Policy Network. Paul Kagame: No opponent allowed! Economic reforms taken by President Kagame rightfully have attracted positive attention from the media and an array of outside supporters. These economic policies—unlike those of most other African governments—are the best way to enable Rwanda’s people to lift themselves from poverty. Yet his supporters seem far too willing to overlook or forgive his views on free speech and the freedom of the press. From first-hand experience, I know that President Kagame goes far further than “Europe’s laws against Holocaust denial,” practicing a policy of zero tolerance toward any journalist who criticizes him. If Gordon Brown emulated this policy, few journalists would remain in the U.K. right now. Mr. Kagame’s record on political freedom also looks increasingly weak at the moment. Who of us would feel our democratic system to be in good working order if our political leader was facing no opposition in an upcoming election after being in power for seven years, because he had momentarily imprisoned the only potential opposition, in order to stop them from registering their party in the approaching elections? President Kagame works very hard at his PR, but surely freedom is not divisible. Those of us who believe in its creative power should give credit where credit is due, but also express constructive criticism or condemnation where freedom is seriously threatened or indeed extinguished. Kigali – Coffee roasting giant Westrock Coffee will purchase massive quantities of dry Rwandan coffee to be shipped to the US state of Arkansas for roasting, the company announced after President Kagame met its executives. Westrock Coffee, formerly Coffee Legends, will roast premium Rwandan coffees shipped to the North Little Rock facility by Little Rock’s Rwanda Trading Company, which is a coffee processor and exporter that owns a green-coffee dry mill in Kigali, Rwanda. The decision of Westrock Coffee to import Rwandan dry coffee for roasting follows the acquisition of a new larger roasting facility located at 30 Collins Industrial Place in North Little Rock, Arkansas. President Kagame visited Arkansas this week and met with business executives as well as Rwanda students in the area. “The business that Rwanda Trading Company and Westrock Coffee are developing both in Rwanda and in Arkansas is an excellent example of partnerships that Rwanda seeks, one that strengthens our economy by building a bridge to the U.S. market for products produced by the Rwandan people,” said Mr. Kagame in a statement. Rwanda Trading is a US-based company which was established in 2009 by a group of former Alltel executives, including Scott Ford and others, who went to Rwanda to find for-profit business opportunities that were capitalistic in nature and would also make a meaningful difference in the lives of Rwandans. 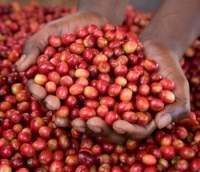 Rwanda Trading Company bought state green-coffee exporter Rwandex in July last year for US$2.3million. Since then, the company has invested several million dollars in the Kigali facility. As a result, Rwanda Trading has significantly increased its exports. In 2010, the company projects exports will increase fourfold over the previous year. “We have built a significant network of suppliers in Rwanda to improve the efficiency of the coffee supply chain in that country,” said Westrock Coffee CEO, Steve McElhanon. Kigali – TWO suspects accused for planning activities aimed at causing state insecurity, were arraigned before a judge at Gasabo Intermediate Court on Thursday. Lt. Col Tharcisse Nditurende and Lt. Col Noel Habiyambere, who were senior commanders of the FDLR (Democratic Forces for the Liberation of Rwanda), admitted having worked with Ingabire and Paul Rusesabagina to form rebel groups to launch offensives in the country. Victoire Ingabire is one of the founders of the opposition party FDU-Inkingi and is fighting to make of a constitutional state where international democratic standards are respected. She is ready to challenge the General Kagame during the August presidential elections but the Kagame regime stubbornly bars her from exercising her political rights. This court trial is part of the process used by the Rwanda government to break her and neutralize her since her return to Rwanda early this year. Paul Rusesabagina is the real life hero of the acclaimed film “Hotel Rwanda”. Rusesabagina, portrayed by Don Cheadle in the film, saved the lives of more than 1200 people during the Rwandan genocide and has been honored internationally for his heroism. He later founded the Hotel Rwanda Rusesabagina Foundation (HRRF) which works to prevent future genocides and raise awareness of the need for a new truth and reconciliation process in Rwanda and the Great Lakes Region of Africa. Appearing before Judge Maurice Mbishibishi and flanked by their lawyers, the two Ex-FAR soldiers who were members of ALIR and later FOCA, the armed section of FDLR, did not waste the court’s time and admitted the charges prosecution brought against them. “My Lord, save for a few facts, most of what the Prosecutor has said here is true, I don’t deny anything and I will readily cooperate in this case,” Nditurende, dressed in a black T-shirt and stripped trousers, told the court after the Prosecutor Richard Muhumuza had presented his case. In a twist of events, the duo not only admitted having met Ingabire , on several occasions, but also stayed in touch with Rusesabagina before they were arrested by Burundian authorities and effectively extradited to Rwanda. Nditurende and Habiyambere revealed how prior to their arrest, they were mobilising FDLR fighters to quit and join Ingabire’s FDU-Inkingi/CDF and Rusesabagina’s PDR-Ihumure. Nditurende in particular admitted having travelled to Kinshasa from Goma in September 2008 with a person named Dieudonne Muhindo-Muhima to meet Ingabire and again met her in Congo Brazzaville to carry on with the plans to start the armed group. According to prosecution, the Kinshasa meeting came after exchanging a number of emails and phone calls with Ingabire and receiving money to facilitate their trips between Goma and Kinshasa as well as money to sustain them during the course of the meetings. They also revealed that Ingabire and the Secretary General of FDU Inkingi, Jean Baptiste Mberabahizi, had met Nditurende’s representative Lt. Jean Marie Karuta in Kinshasa where they discussed and drew a list of what was needed to start the armed group. Habiyambere, who had since quit FDLR and was working with Rusesabagina, informed the latter of Ingabire and Nditurende’s plans, and Rusesabagina recommended that the two former FDLR colonels join hands to form a much bigger group. “I was working with Rusesabagina, but at the time, I did not know that they were planning terrorist activities. The difficult conditions I was living in in the jungles of DRC led me to work with them, I therefore beg for mercy,” Habiyambere told the court. Ingabire and Rusesabagina continued to send money to DRC through Western Union to help them in their activities and also sustain them in the jungles of North Kivu as well as help them to acquire guns and ammunition. Using Congolese documents, Nditurende passed though Goma Airport to Nairobi then Dar-es-Salaam where he connected with Habiyambere and then to Kigoma, from where travelled by road to Bujumbura. The duo met a senior Burundi military officer, General Adolph Nshimiyimana, seeking his help, but he turned them down, telling them that they had no chance. While in Bujumbura, the duo received money from Ingabire and Rusesabagina through a Burundian Bank. However, Burundian authorities swung into action and arrested them and handed them over to Rwanda. The representatives of the duo applied for bail since they had willingly admitting to the charges and were ready to cooperate with the court, but the prosecution objected, arguing that the charges were serious and that they should remain in detention in the course of the trial. Court will rule on Friday as to whether the accused should be granted a 30-day bail. KIGALI – Two other senior officials of IBUKA, the umbrella body of Genocide survivors’ associations, have been arrested for alleged mismanagement of survivors’ funds, The New Times has learnt. A source from the Office of Prosecutor General, said that the officials who were arrested on April 16 include the organisation’s Secretary General, Freddy Mutanguha, and the Vice President, Eugene Gashugi. “They appeared before Nyarugenge Intermediate Court yesterday. The accused requested court to give them more time so that they get lawyers,” the source said. It is understood that court granted the suspects one day and ordered them to reappear in the same court today at 2.00pm. Prosecution spokesperson, Augustin Nkusi confirmed the development and said the duo had been arrested in connection with the mismanagement of survivors’ funds. He added that more officials in the organization were still under probe in connection with the scam. Mutanguha and Gashugi’s arrest comes days after police arrested the Executive Secretary, Benoit Kaboyi for alleged mismanagement of survivors’ funds. Kaboyi was arrested along with the Director of Finance, Naftal Ahishakiye and Emmanuel Nsengiyumva, who was in charge of programmes at IBUKA. They are accused, among other things, of creating ghost beneficiaries and inflating the figures of survivors in some districts. According to prosecution, over Rwf400million was unaccounted for and that the officials have to explain how the money was spent. IBUKA was created in 1995 in order to address issues of justice, memory, social and economic problems faced by Tutsi survivors. Kigali: The three former FDLR militia members to be paraded in court as accomplices to opposition politician Victoire Ingabire Umuhoza deserted the FDLR rebels before the period they are alleged to have been in contact with her, new information suggests. These are Lt. Col Noël Habiyaremye, Lt. Col Tharcisse Mbiturende and Lt. Jean Marie Karuta. According to Prosecutor General Martin Ngoga, these men were arrested in Burundi as they prepared to implement the plans of causing instability in Rwanda. The FDU-Inkingi chair Victoire Ingabire was allegedly in contact with the three FDLR men with plans to launch a rebel group called CDF to topple government. According to prosecution, Ms. Ingabire met Lt. Col Tharcisse Mbiturende in Kinshasa over the details of the proposed rebel force, which would include remnants of FDLR ranks. Prosecution also claims the Colonel received money through Western Union from Victoire Ingabire from the Netherlands, and that they kept in touch through email. However, the FDLR rebels revealed that the three government prisoners and informants are not members of the rebel force. In a statement issued on Wednesday, the Paris-based FDLR Secretary General Callixte Mbarushimana said Lt. Col Habiyaremye deserted in October 2007, while Lt. Col Mbiturende and Lt. Karuta abandoned the rebel ranks in May 2008. The FDLR Secretary General also said in the press statement that the group does not have any connections with the FDU-Inkingi party, nor Ms. Ingabire. Kigali: More drama continues to rock the yet-to-be registered Democratic Green Party as the party leader Frank Habineza says the controversial comments attributed to him were actually made by one of the officials who defected last week. Founding Secretary General Mr. Charles Kabanda and two other officials Mr. Vincent Nshimirimana and Ms. Jean Marie Vianney Kantengwa told an impromptu press conference on Friday that they had dissociated themselves from party chief Mr. Frank Habineza. The three accused Mr. Habineza of making statements at a conference in Uganda the previous week which they said were not approved by the party. According to the three defectors, Mr. Habineza misrepresented the views of the Green Party. It is during that conference in Kampala that Frank Habineza has been elected as President of the Executive Committee of the Federation of African Greens on April 18th. Mr. Habineza allegedly told the Kampala conference that Rwanda still had troops in DR Congo; that Rwanda was conniving with the United States and Britain to plunder DR Congo’s timber; and that the Green Party had two million members. The three defectors said none of these assertions was true, and that they were not party to those comments. Now, just back from a European tour, Mr. Habineza says the allegations against him are a “total lie”. “It was actually Mr. Charles Kabanda who presented the report on Rwanda and not Frank Habineza,” says Mr. Habineza in a statement, in reference to one of the three defectors. The elderly Mr. Kabanda was the first president of the now ruling Rwanda Patriotic Front (RPF) back in the 1980s. He left the RPF, along with Habineza to found the Green Party in 2008 where he has since been Secretary General. In the two-page rebuke of the defectors, Mr. Habineza says the “party leadership” has been having “serious concerns on” Mr. Kabanda and Mr. Nshimirimana. “…ever since he became a member of the party, he has never publically condemned the harassment and intimidation done to the Green Party, yet as a Secretary General it was in his capacity and duties to do so, but rather he was always giving excuses of not wanting to talk to the media and also discouraging the Leadership from doing so,” says Habineza of Kabanda. As for Mr. Nshimirimana, who has been in charge of media at the troubled party, Mr. Habineza accuses him of disclosing party secrets to unnamed outsiders. “Some of our internal discussions and decisions in party meetings used to be heard outside the office and we would wonder who it was, taking the party secrets and internal information outside the party, even some party documents used to get lost and be seen somewhere else,” claims Habineza. Describing the defection of three top members as a “big blessing”, Mr. Habineza claims they have actually been “heavy burden” to the party. Those who preferred repatriation were safely brought into the country, but those who chose otherwise were shot “That’s what we did“. 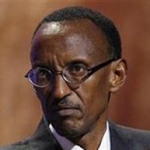 – Recent Paul Kagame’s remarks constitute an outrage to Rwandan People. – Time for a real Inter-Rwandan Dialogue is overdue. Our organization would like to denounce and condemn in strongest terms possible recent public remarks made by Paul Kagame, President of Rwanda, relative to Rwandan refugees and his fellow citizens. What President Kagame has just stated is not only irresponsible, it is immoral. In any democratic society, such statements would be indicative of his inability to be fit for any political office; therefore, he should immediately and unconditionally step down. In his recent speeches, Paul Kagame has admitted to have ordered the killing of Rwandan refugees in Eastern DRC during the manhunt that was perpetrated by the Rwandan Patriotic Army (RPA) in 1996-97 and in subsequent military campaigns. He went on to compare Rwandan refugees to human waste. Based on such insertion one may conclude that they do deserve nothing more than being eliminated. As a reminder, these crimes that were perpetrated against refugees and Congolese people have been qualified by independent observers and in UN reports as acts of genocide, war crimes, and crimes against humanity. It is shocking and appalling of seeing a so-called national leader especially someone occupying the highest position of the land treating his fellow citizens of human waste. Such characterization that may be compared to what was prevalent in other jurisdictions and leadership in the early days of the last century does not and shall not have any place in any modern society. Few days back, he had compared other presidential candidates who have vied to challenge him in the upcoming bogus election to political hooligans. These uncontrolled Kagames’s outbursts are symptomatic and/or indicative of a dysfunctional system that is about to disintegrate due to its own internal contradictions. Meanwhile, Kagame has ordered the suspension of the free media outlets because the latter had the courage to report and question his regime deeds while informing truthfully the Rwandan people and the international community. In a country where lawful dissent is criminalized, prohibited, and/or repressed forcefully, there is no place of democratic debate. This has been one of the significant traits of the Rwandan regime since its inception. The continuous flow of refugees including former RPF officials who have been flocking in neighboring countries is a blatant evidence of such brutality. Once again, the Kigali’s regime has shown that it is neither interested in organizing free and fair elections nor in finding genuine solutions to underlying problems of our homeland. Kagame’s interests solely reside in perpetuating the RPF hegemony as it has transpired in his recent public addresses. After all these years of unparalleled tragedy and bad governance, the Rwandan people deserve better. As our organization has always pointed out, the Rwandan problem is political in nature and requires political solutions. To find lasting solutions to the overall problem of the Rwandan refugees in the region, it is important that the root causes of the political instability be addressed. It is our firm conviction that as long as the underlying causes of the rwandan political problems would not genuinely be addressed, the populations of the region will neither enjoy lasting peace nor sustainable development and prosperity. In order to foster a reconciliatory Justice system, the only foundation of genuine Reconciliation, the coalition RUD-Urunana and RPR will continue to call for the organization, under the auspices of the International Community, of an Inter-Rwandan Dialogue. In addition, such process would set up a “Truth, Justice, and Reconciliation” Commission that would help heal a traumatized society. We remain convinced that only this Dialogue would lead to lasting peace, stability, and the establishment of new political, judiciary, and security institutions that would meet the legitimate aspirations of all the constitutive groups of the Rwandan society. Urunana rw’Abaharanira Ubumwe na Demokarasi. Police in Southern Rwanda have arrested a local official for referring to the 1994 Genocide as a war between ethnic groups, reports say. Mr. Ernest Twahirwa stunned a Genocide commemoration function which took place on Sunday in Bweramana sector (Ruhango district) when he told his audience including grieving Tutsi survivors that the Genocide was a result of conflict between two ethnic groups. Witnesses reported that Mr. Twahirwa, head of Social affairs at the Sector, avoided using “Tutsi Genocide”, instead describing the mass slaughter as civil war. This arrest on alleged negation of the Genocide, referred to as Genocide ideology, comes among a few cases which have been recorded since the commemoration period started in 2007. The accused Mr. Twahirwa faces criminal charges under a controversial Genocide law which is being reviewed by government following a protracted media and human rights groups’ campaign. Critics including donors say the law is being used to silence free speech – accusations President Kagame branded as “nonsense”. Among the people who reported Mr. Twahirwa to the Police is Member of Parliament Marie-Rose Mureshyankwano. She is said to have forcefully grabbed the microphone from the accused official and started explaining to the audience the official version of events. If found guilty, Mr. Twahirwa faces up to 25 years behind bars. Kigali – Government announced on Friday that it has arrested three people said to be FDLR rebels and accomplices of opposition leader Victoire Ingabire. Prosecutor General Martin Ngoga said the three were members of the Rwandan Democratic Forces for the Liberation of Rwanda (FDLR) rebels operating in neighbouring Democratic Republic of Congo. “The three FDLR officers told us they had colluded with Ingabire to cause insecurity in Rwanda and destabilise the country,” Ngoga told AFP, referring to the opposition leader Victoire Ingabire who was conditionally freed on Thursday, a day after being arrested. The three FDLR members were Lt. Col. Tharcisse Mbiturende, Lt. Col. Noel Habiyakare and Lt. Jean Marie Karuta, Ngoga said, explaining that the first two were arrested in a neighbouring country while the third was seized in Rwanda. Ngoga said they “acknowledged having met with Ingabire several times in Kinshasa and at times she helped them, especially with money”. Ms Ingabire, an ethnic Hutu, was said to be propagating genocide ideology after she called for remembrance to be organised for all rwandan victims – including Hutus – of the 1990-1994 conflict. She also called for action to be taken against those responsible for crimes against humanity perpretated by the RPF leaders, including President Paul Kagame inside Rwanda and in the neighbouring countries. Ingabire, who leads the Unified Democratic Forces party (UDF Inkingi), has declared her intention to run for presidential polls in August to challenge President Paul Kagame, but has been systematically harassed since returning from exile in January and has been barred from officially registering the party. She was accused of collaborating with rebel group FDLR, charges she denies. Ingabire, whose passport has been seized, was ordered to report before a judge twice a month and prevented from travelling outside the capital Kigali.